This Saturday night, in the newly minted Videotron Centre in Quebec, Canada, the pride of Harlesden U.K., undefeated IBF super middleweight champion James “Chunky” DeGale (21-1, 14 KO’s) will be making his first title defense against the former IBF champion Lucian Bute (32-2, 25 KO’s) of Quebec via Romania. This past May, DeGale made waves in the boxing world, coming to the States and lifting the vacant belt in a stirring contest against talented American Andre Dirrell. The southpaw British pugilist started off fast, dropping the ambidextrous Dirrell twice and holding off a late surge to win a close, unanimous decision. While many fighters opt to take a lesser challenge in their first defense, DeGale will be facing a formidable foe in Bute. 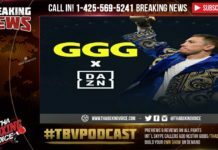 Recently, ThaBoxingVoice was able to interview “Chunkies” longtime trainer Jim McDonnell regarding his preparation for the clash. “He’s training harder than he did when he won a world title” McDonnell stated when asked how camp was going so far. 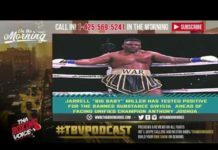 Questioned regarding his fighters uneven performance in the late rounds of the Dirrell battle, McDonnell attributed the second-half performance to a concentration lapse. 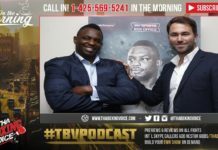 “It’s not a new thing, it’s something from when he was a 10-year-old kid at school, concentration we work on, we’ve been doing concentration drills for this fight, and I think you’ll see it against Bute”. While the boxing media and fans may not be taking the +500 underdog Bute seriously, the DeGale camp is. Not only is he a seasoned fighter with knockout power, Bute is fighting in his adopted hometown which presents another obstacle for Team DeGale. With the stage set, the two southpaws are dueling for credibility in an emerging the 168-pound division. Will we see Bute, backed by a raucous Canadian crowd, regain his crown or will we see the upstart DeGale enhance his reputation as a “road warrior” and bring the title back to the UK? Come Saturday night, we will have our answers.